The low-carb diets have proven to an effective weight loss tool for decades now. The keto diet itself has been around for almost 100 years and it has sparked controversy among dieters and nutritionists from all around the world. Regardless which side you are on, it is a hot topic. The keto diet has many unique benefits over the other diets, and we are not talking about only weight loss in this case. There are many benefits that the keto diet provides, from incredible weight loss results to significant metabolic advantage. How can a simple diet be so powerful? The secret is in the ketone bodies – our bodies magical surviving mechanism that has been keeping us alive from the very beginning. The keto diet is defined by its low carb intake (or almost no carb intake at all) and its high fat intake. In a nutshell, the keto diet is a very low carb, adequate protein and high-fat way of eating. Why low carb? Because removing carbs from your daily menu will force your body to find new sources of energy – fat sources. Most of your daily menu will be based on fats and non-starchy vegetables. The keto diet is also low in fiber, thanks to restriction in high-fiber foods, so it’s vital to watch your fiber intake. Once you cut out carbs, you will eventually deplete all your glycogen stores and your body will soon enter ketosis. Ketosis is our bodies magical superpower that has been keeping us alive for thousands of years – it helps your body to manage hunger. Ketosis is a metabolic state where your body switches from using carbs as the main source of energy to using fat as the main energy source. And this is what we are going after here. To transition your body into ketosis and remain there, you need to go very low carb. The amount of carbs depends on whether you are just starting out or already fat-adapted. If you are just starting out, we would suggest to cut down your carbs as low as a maximum of 20 grams per day. Following this rule, you will be in ketosis usually during a week (this can depend on the individual). Just make sure you are eating the right keto foods like full-fat yogurts, dairy, fatty meat and fish, leafy greens and oils! The keto diet was originally developed during the 1920s by Dr. Russel Wilder, to treat children with epilepsy. It was effective and widely used. 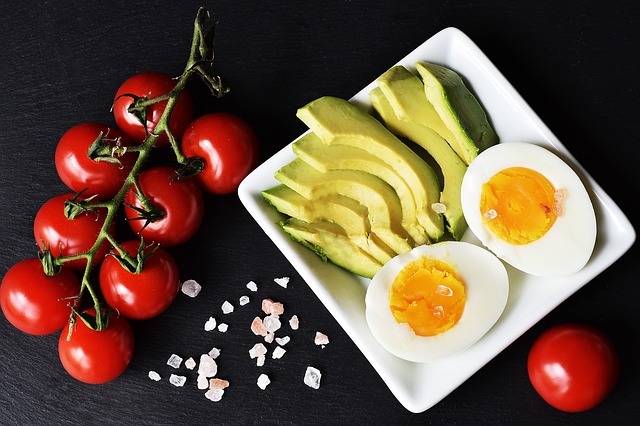 While the weight loss is often the first reason why people consider the ketogenic lifestyle, there are way more perks that the keto diet can offer. Why a natural health booster? There are many ways to give a good boost to your health. Often its promoted to use external supplements or additives, but not in this case. We believe that you can have a positive impact on your health naturally, only by improving your eating style. This is where the keto comes into the game. The keto lifestyle comes with many benefits, but in general, I would split them into two bigger groups: health-boosting benefits and benefits that help to minimize or treat different physical conditions, such as cancer and epilepsy. The first reason why it’s perfectly natural health booster is that you don’t need any external supplements or additives to make it work. Just cut out the carbs and your body will do the rest. It is based our bodies own magical function called ketosis. It has been with us since the beginning, and it is the main reason why you are alive when you are not giving your body enough food. Within the first weeks, you already notice how your stomach calms down and you don’t feel like you want to die after a big meal. The main difference between the keto diet and other Western diets is that there are no keto cheat days. The second tangible effect is improved cognition abilities. The big reason why many people love the keto diet, is its ability to improve brain function, cognitive skills and clarity of thought. The main problem with carbs is that they cause your blood sugar levels to rise and fall. Carbs as an energy source aren’t consistent, it makes it harder for your brain to stay focused for long periods of time, it also often can be the reason for mood swings. There are many scientific studies which confirm the positive effect of being in ketosis to your cognition abilities. But at the end of the day, the experience is king, anyone who has experienced the state of ketosis can tell you the benefits of the improved cognitive function. Anyone coming from standard western diet to a ketogenic diet will experience a drastic difference in energy levels. This happens because you have been minimizing your carb intake and you don’t have blood sugar spikes as before. Of course, like with any other big eating style change, there is a transition period. This can last around 3 days to 3 weeks, depending on your eating style and how strict you are with your diet. Once you are passed off the initial transition period, you will start feeling a drastic increase in energy levels and less feeling these nasty cravings. Fat is a way more stable source of energy, that’s why once fat adapted, you can easily go half a day without food and you would not feel drastic energy level swings. If physical endurance is important and measurable for you (going to the gym or if you are an athlete) then there are definitely many things you can gain from the keto diet. Research has concluded that in long-term, high-fat diets are showing strong results and are favorable for aerobic endurance athletes. Other studies have shown a positive effect on endurance sports combined with the keto diet. One study found that exogenous ketones demonstrated acute nutritional ketosis during exercise. Reducing lactate production and improving performance in elite cyclists. As you can see, ketogenic lifestyle comes with way more benefits, than just a merely fat loss. Although keto diet is probably one of the most effective diets when it comes to fat loss. This is because keto foods are very fulfilling and this one of the few diets, where you don’t need to fight with constant hunger feeling. This kind of eating style can and will boost your overall well-being, improving cognitive abilities and even physical endurance. Although keto is no magical cure for everything, the potential positive effects of the keto diet on your body is impressive.